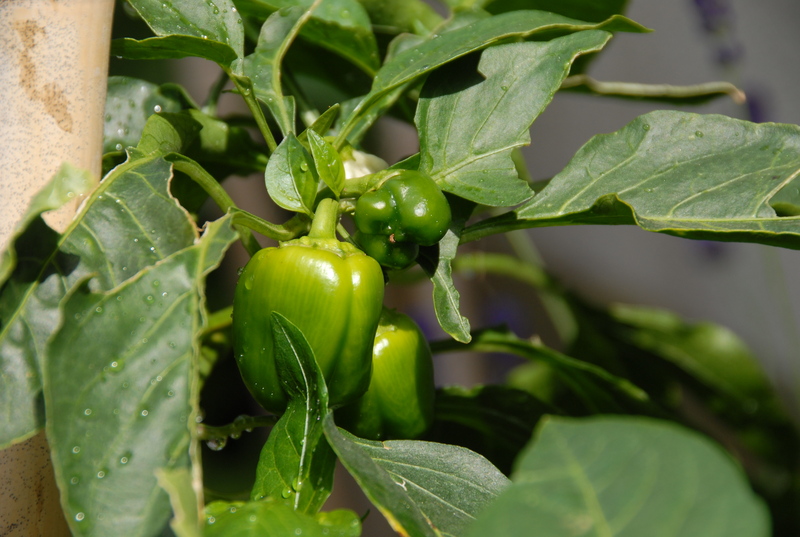 During my routine garden check, I noticed that my brand new bell peppers looked gorgeous. But wait, what is that? A weird whiteish/brownish spot? Two of my peppers looked like they were rotting. What could have caused that? It turns out that this is actually called SUNSCALD. 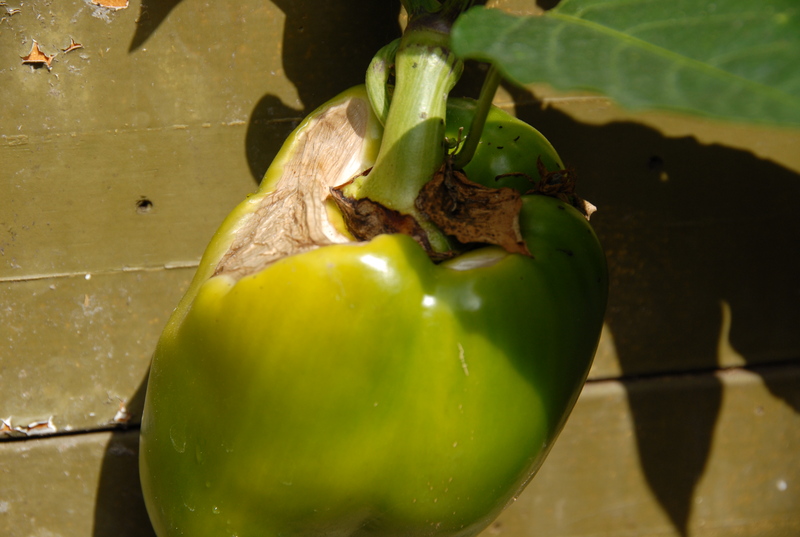 And funny enough, it is most prevalent on green fruits like bell pepper. The sun-damaged areas can then be vulnerable to insects and disease. Oftentimes a fruit that was previously in the shade and then exposed to direct sun will get sunscald. To prevent this awful sunburn, cover the exposed fruit with a lightweight material to diffuse the light. In general, it’s important to keep the foliage healthy to give the fruit natural shade. I cut off the peppers with the sunscald to prevent any bugs from moving in and wreaking havoc on the rest of my garden. Since most of the pepper was healthy, I removed the sunscalded section and used the rest of the pepper in a salad. My next round of peppers so far look great. I’ll report back if anything unsightly occurs.